XVI, 439 p., 18 ill., 2 Klapptafeln, 15,8 x 20,8 cm. 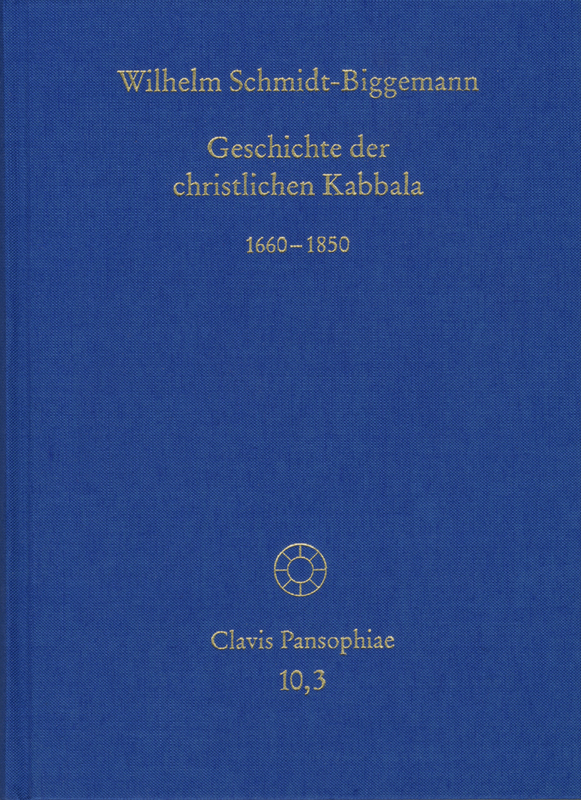 The third volume deals with the last heyday of the Christian Kabbalah in the works of Christian Knorr von Rosenroth. It is also concerned with the philological, historical and philosophical critique of the Christian Kabbalah. Knorr’s ›Kabbala Denudata‹ revolutionized the entire context of the discussion, so that during the first half of the 18th century, the former »Christian Kabbalah« was reinterpreted as »Philosophia Hebraeorum«. Since the second half of the 17th century, philological criticism – which constitutes the volume’s second greater topic – has proven that the canonical writings of the Kabbalah were entirely pseudepigraphical. The search for a »Lingua Adamica« paradoxically forced pious philology to denounce these texts, which had been its very own foundation, as fakes. The third topic deals with the end of the Christian Kabbalah. Along with the campaign to re-Christianize Europe, which followed the Napoleonic wars, conservative movements used the arguments of the Christian Kabbalah and in this way revived its tradition once again. Wilhelm Schmidt-Biggemanns Werk zur Geschichte der christlichen Kabbala wurde im Oktober 2013 mit dem Hamann-Forschungspreis ausgezeichnet.